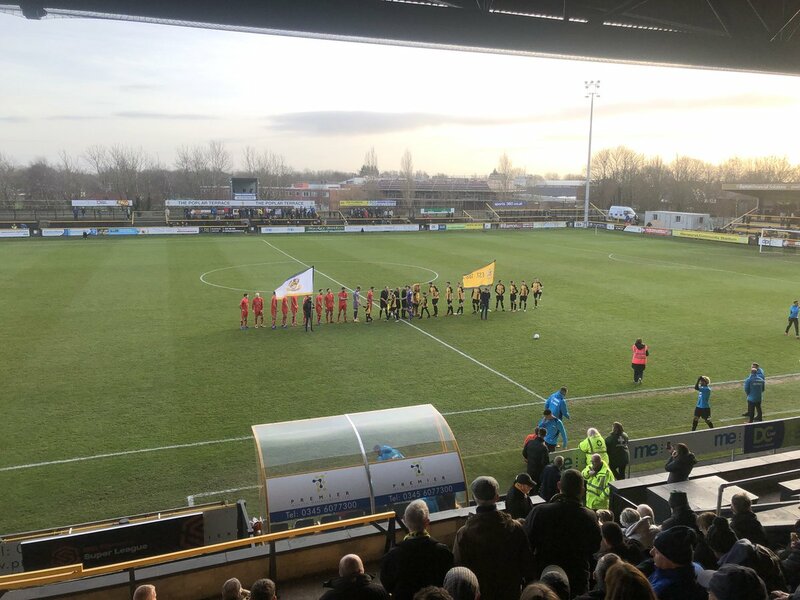 Alfreton Town succumbed to a below par defeat at Southport as two first half goals on Merseyside proved enough for the hosts as the Reds ended 2018 with defeat. Billy Heath made just the one change with Michael Collins replacing David Lynch. The game got off the worst possible start for us after an early free kick on the left from Charles was nodded on, into the path of Gilchrist who touched home past Sam Ramsbottom after just 80 seconds on the clock. The goal stunned the Reds who had barely touched the ball and found themselves behind in what appeared to take the sting out of the early stages in an attacking sense for us. Several long balls towards Richard Peniket and Reece Styche were way-ward before Styche's cross towards Tom Allan at the far post was just too long. Morgan flashed an excellent volley just wide of Sam's far post from outside the box before Peniket cleared the resulting corner. We had soon found our feet in the game and especially in midfield with no major chances since Southport's opener. We were a little bogged down and inaccurate with our forward play but the contest grew into an even one mid-way through the first half. Curtis Bateson tried to find some space on the right, inside the box but good defending denied a chance. At the other end Jordan Richards curled a free kick over the bar from 25 yards. Peniket pleaded for a penalty after a scramble in the box from James Clifton's long throw, the appeals were waved away before Wood curled an long range effort which bounced off the bar and out for a goal kick. Sam would then palm Charles low effort away before Josh Wilde was penalised for a push very similar to a push not given on Styche. Luckily Wood's scuffed effort was cleared after the free kick was taken short. Morgan came close again firing wide of the post, Styche couldn't control Peniket's inch perfect lobbed pass in the box. Allan then forced Hanford into a close range save after a neat move between Tom Platt and Wilde. On 37 minutes it was two, a long goal kick from Hanford caused confusion between Luke Shiels and Sam, the ball bounced and Sampson raced on and then lifted the ball over Ramsbottom into the empty net. This was yet another disappointing goal to concede as two slips in concentration and sloppiness had cost us two goals. We needed to pump more energy and attacking potency into the second half as the first half ended in frustrating fashion. The second half saw improvements from the Reds as Collins fired over early on, Hanford held onto Allan's left wing cross before Peniket was tripped in the box on 52 minutes and Alfreton had a penalty. Reece Styche stepped up and smashed the ball down the middle to give us the perfect start to the second half. We upped the tempo soon after the goal, Peniket turned well and drove forwards but his shot was straight at Hanford. Winnard then blazed a good chance over the bar after a Southport corner. Styche was then caught offside after Platt's ball back into the box after our free kick was initially cleared. We kept pushing as Allan was left unmarked on the left side of the box after a yoyo of clearances in the box, but the move broke down. The hosts were on top in the final ten minutes of the game as we cleared several crosses and corners before Jordan Sinnott forced Hanford to tip his top corner effort over before Hanford denied us a point in stoppage time with a point blank save from a header in the box as the Southport keeper tipped the header over. It was a frustrating afternoon for Billy Heath and the Reds who had made strides forward in recent games but this was a step back after a poor first half ultimately cost us the game. Quick starts and early concentration will be issues to cover as we look to return to winning ways with the visit of Boston United on New Years Day, kick off is 3pm. ATFCXI: Ramsbottom, Clifton, Wilde, Platt, Curry, Shiels (c), Styche, Collins (Sinnott 72), Peniket, Bateson (Chettle 64), Allan. Subs Not Used: Hotte, Nicholson, Hobson.